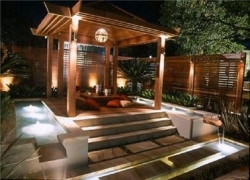 Interlock stone with dry sand infill helped to create an oriental ambiance across this secluded back yard and this, coupled with some creative water features and selective lighting, makes for the perfect oasis within the city. To the right here you will see Bob Littlejohn and one of his site superintendents surveying a large scale commercial irrigation project for a well known hotel chain. Coincidentally, the guy in the red jacket is called Mike and he does have a very strong resemblance to that famous TV personality Mike Homes. We sometimes wonder about this one? Commercial irrigation systems designed to couple efficiency and water saving technology have become very popular and with our own unique "Yard Health" system added, there is no need for the weed guy, the gardener, the fertilizer, the plant nutrient specialist or the pest control guy. This system takes care of all these things and a few others. Our deck design and building crew can provide you with a basic deck, to one of the most elaborate you can imagine. It all comes down to your needs, wants and budget. We can include lighting and water features also. Outdoor features. Decks. Pergolas. Pathways. Water features. Lighting. Outdoor repairs and renewals for both residential and commercial properties. Outdoor scheduled maintenance packages to suit residential and commercial needs. Customized features and creations, including ornamental bridges and sculptures. 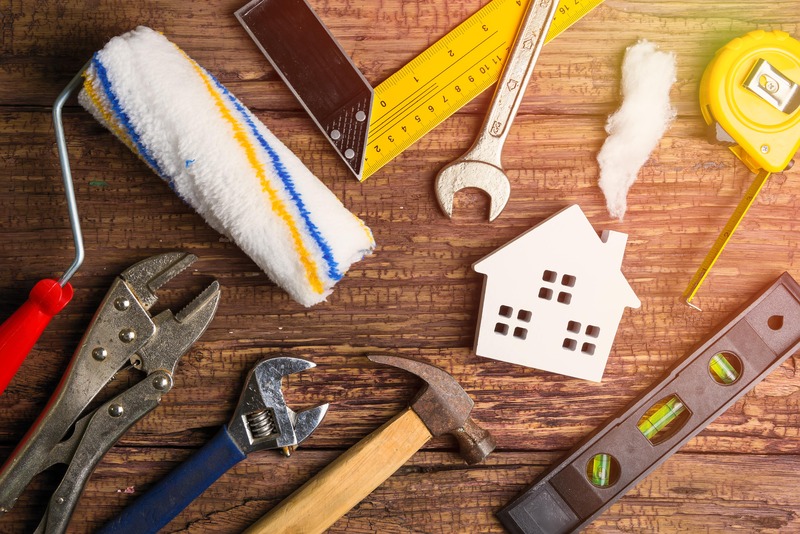 Small repairs and installations to all types of property, plus handyman services. Basement upgrades and renovations, porches, attic conversions, flooring, crowns. Kitchen and Bathroom upgrades and renovations including design and layout. Contract maintenance for yards, homes, businesses, hospitals, public buildings etc. Equestrian services for repairs to fences, stables, transporters, trailers etc. Interior and exterior painting and decor, including full wall effects and features. Ceramics, Glazing, Carpentry, Fireplaces, Closets, Sheds, Garages, Plastering etc. Electrical, Plumbing, Heating, HVAC, Roofing, Siding, Gutters, Drainage Etc. Complete restoration services for flood, fire and other disasters affecting property. Property inspections, Technical Assessments, Bills of Quantity, Reports, Drawings. SOME ARE JUST HARDER TO FIND THAN OTHERS ... THIS IS WHY WE ARE HERE. 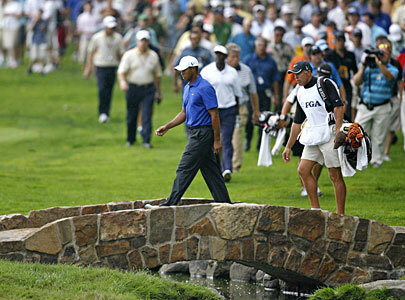 Here to the left you have a picture of Tiger Woods crossing over an exact replica of the famous St. Andrews Old Course Swilken Bridge in Scotland. This replica was designed and constructed by Hartmans for the Hazleltine Golf and Country Club in Minnesota. The bridge also has a bronze commemorative plaque mounted in solid stone to one side and since that PGA tournament, the bridge has become something of a tourist attraction. This is just one example of the many types of ornamental structure we can design and construct, guaranteed to compliment any prestigious garden or parkland. The building shown to the right is another Hartman design and build project for the main entrance to a garden center. The building resembles an old railway station and was design for minimal maintenance requirements, using some of the latest innovative technology and all natural timber preserving products currently available on the market.